Here it is folks...the official schedule of events for the big day this weekend! It's time to start making your to-do list, because this event is packed with a variety of fun filled activities. We hope you're as excited as we are! Join us this Saturday, October 21st, from 8 AM to 3 PM as we celebrate 40 years of conservation and education in Birmingham! If you haven’t already made plans to join us for our 40th Anniversary celebration on Saturday, October 21st from 8:00 AM to 3:00 PM, perhaps these four, unique guided hikes will entice you—that’s right, we have a little something for everyone lined up. Please note all hikes are on “first come first served” basis and hikes will fill up fast! Who/What: Tom Spencer, Nature Hike. Tom covers it all—geology, history, and ecology. The route will be the Ridge and Valley loop, a vigorous 3.5 mile hike from the base of Ruffner Mountain to its highest elevation at Sloss Peak. A great hike for fall colors, with mining ruins, and mountaintop views to boot. Thomas Spencer is the author of Five Star Trails: Birmingham, a guide to hiking in Birmingham and the surrounding region. Born in Birmingham, Thomas Spencer grew up hiking and camping in his native state, and for almost two decades he crisscrossed Alabama as a reporter for the Anniston Star, The Birmingham Weekly, and The Birmingham News, specializing in coverage of the outdoors and the environment. A graduate of the University of Virginia, Spencer is now the senior research associate at the Public Affairs Research Council of Alabama based at Samford University. Who/What: Gary Bostany, Industrial History Hike. Gary will lead a hike focused on mining history. He has led hikes to the old mine sites as a volunteer educational docent for the last ten years, while explaining the history of the area. Gary Bostany is a volunteer educational docent at Vulcan Park and Museum, and a history buff regarding Birmingham’s early days of the making of iron and steel. Who/What: Peter Van Zandt, Natural History Hike. Peter Van Zandt will lead a hike on finding often overlooked natural history. Pete VanZandt is an evolutionary ecologist who studies how plants and insects interact with each other. He teaches field botany, ecology, and evolutionary ecology at Birmingham-Southern College. Who/What: Michelle Reynolds - Nature Hike - Michelle Reynolds is a Native Plant enthusiast and Habitat Gardener from Birmingham, AL. Michelle believes that enthusiasm is her super power. She is the author of many garden profiles, how-to articles for publications, leads field trips, and makes nature inspired art weaving in stories about ecology and biodiversity. October 21st, Ruffner Turns 40! On October 21, Ruffner will celebrate the 40th anniversary of the founding of Ruffner Mountain Nature Coalition. Yes, it really has been four decades! We can’t believe it either. Ruffner was founded in 1977 when a small group of dedicated individuals decided to save a mountain threatened by deforestation and development. This was the start of the modern nature movement as we know it today in Birmingham. Over the years, Ruffner has grown from a few acres to more than 1,000, making it one of the largest privately held, urban nature preserves in the country. Today, it is the urban forest of the Magic City. -Plus a good ol’ fashioned cookout (or grill out, or barbeque, or get-down), sponsored by Alabama Power, Bud’s Best, Coca-Cola, Lloyd and Hogan and Golden Flake! Whatever you choose to call it, it’s sure to be a great time. Additional activities and events planned. Check back later for more details! *UPDATE* Thank you to the City of Irondale Public Works for jumping in and helping us pick up trash bags along Ruffner Road tomorrow! Ruffner couldn’t be more excited for tomorrow’s annual Ruffner Road cleanup, one that will be made all the more special by students from the Alabama School of Fine Arts joining us for the work day! There’s just one small problem. A few months ago, Ruffner’s beloved work truck went out of commission due to a cracked engine block (a problem not easily fixed, if at all). Which means that since that time, Ruffner has been without a utility vehicle of any kind, something that is absolutely crucial to work on the mountain and at outlying areas, like East Side Park and Ruffner Road. There’s no other way to slice it—we have to have a truck in order to maintain trails on the mountain, clean up trash and debris, haul heavy tools and equipment to project sites, and much, much more. We have made a few asks of local auto dealerships, but with little luck thus far. 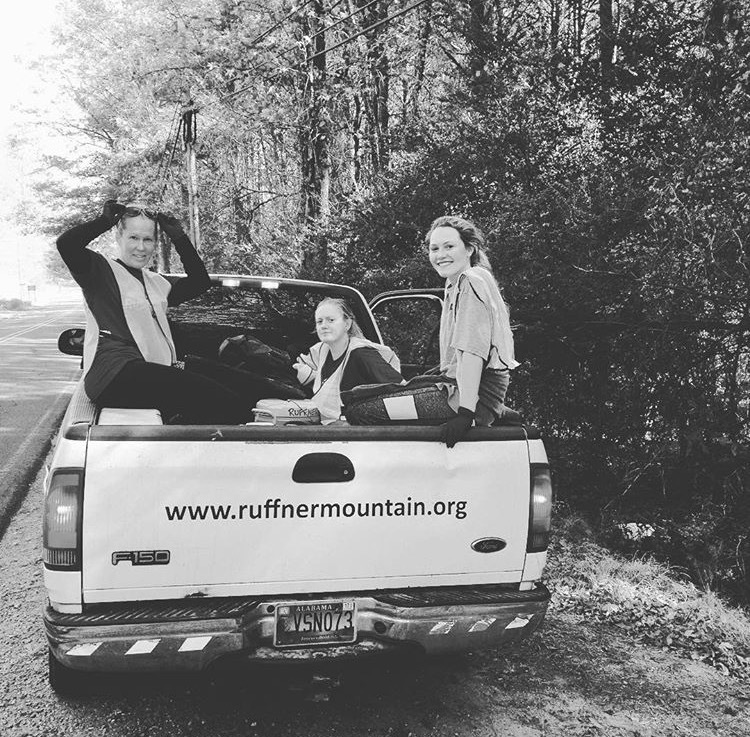 If you or someone you know has a truck that could be donated for use by the Ruffner Mountain Nature Coalition, we would be more than grateful such a gift. And if you have a truck to donate by tomorrow’s Ruffner Road Cleanup, all the better. As a privately held nonprofit, we rely on membership, donations, and grant funding to operate and carry out conservation projects. It is our hope that someone out there, an individual or company, can donate a truck to further the work of conservation and the preservation of green space, streams, and wildlife. Please give us a call or message us if you, or someone you know, can. We are so grateful for the constant support we receive from the communities surrounding Ruffner every day. Help us to preserve our natural resources so that they are not only protected, but thrive for all the generations to come. In an attempt to balance the impact of trail races, in 2016 we moved to limit the total number of races to 3 per year. The funding from these races assists with operational expenses such as public restrooms, staffing, programming materials, and supplies. 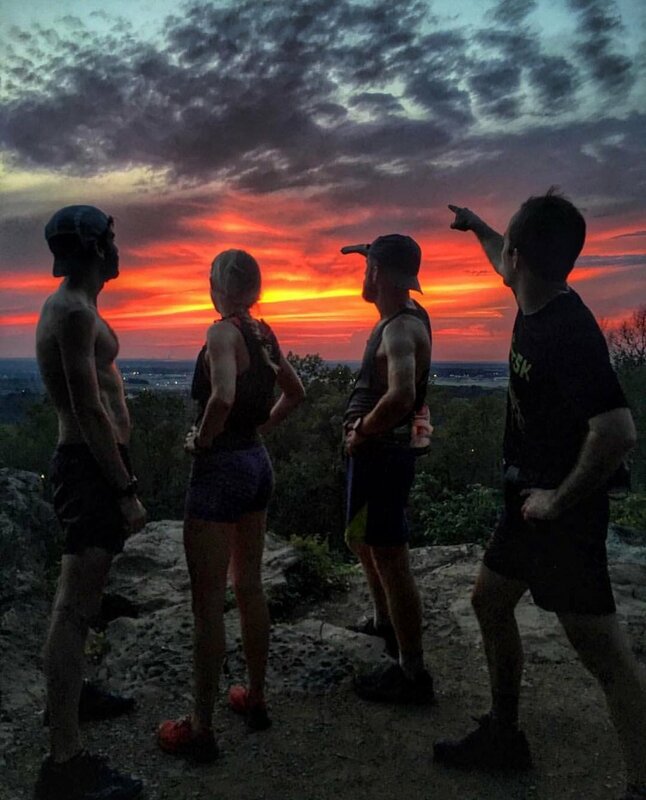 That being said, on Saturday, October 7th, Ruffner will host the annual Crusher Ridge Run Fundraiser presented by the Birmingham Ultra Trail Society. Please be aware that on race day parking will be limited, but you will be able to use the new sidewalks implemented by the City of Birmingham that lead up to the Preserve. Keep in mind that while the Preserve remains open to the public, the trails will be utilized for the race. Also, please be mindful of the flags which mark the trails. Please do not attempt to move these. Let's all respect each other and have a great race! Thank you to the Birmingham Ultra Trail Society for their continued support of Ruffner Mountain. "The seventh installation of our Gosse Nature Walk Series takes us back to Ruffner Mountain for a lunchtime nature break. Join us for birds, botany, and the beginning of fall! The details: Meetup is at noon in the main Ruffner Mountain Nature Preserve parking lot, located on the northwestern face of the mountain, at the far end of 81st Street South. As always, remember to bring plenty of water and snacks, insect repellent, rain gear, sunblock, and seasonally appropriate attire. Since part of this trip involves a moderate walk up the mountain side, good walking shoes are a must. Trip leader: Birmingham Audubon Outreach Director Ansel Payne leads this trip. Email him to RSVP, or call 205-719-3678, ext. 2." The Eastern Tiger Swallowtail (Papilio glaucus), one of the more common species of butterfly at Ruffner, begins its life cycle as one of these guys, deep green and appearing perpetually determined due to its conspicuous eyespots. These black and yellow markings mimic two large eyes, which scientists believe serve to deter insect-eating predators, such as birds. In this, the fourth instar, or stage, of the caterpillar's life cycle, it is a leafy green. However, in the first three instars, it manifests as a brownish-white in order to mimic bird droppings on leaves. Clearly, the development of this curious creature is intimately and oddly linked to the birds that glide above it. And if the caterpillar is lucky that is exactly where they'll stay.